Honda Motorcycle and scooter India is mulling over to launch the new bike in India, which will be younger brother of the company most popular super sports motorcycle, Honda CBR 1000RR. 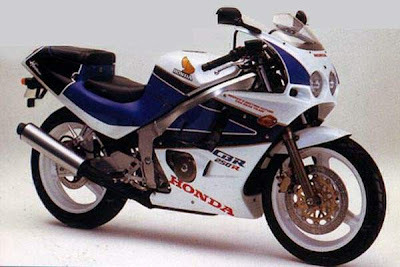 The new bike will be known as Honda CBR 250R in the Indian auto market, which might be launched by this festival season. However, the company has not yet confirmed the launch of new CBR 250R in the country. It is expected to be priced around Rs. 1.5 lacs. 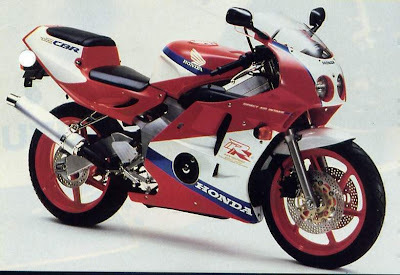 The whole bike seems awesome and it is speculated that the design of this bike is inspired from Honda VRF 1200F. The Honda CBR 250R would be powered with a Liquid cooled, 4-stroke, Dual Overhead Camshaft 90° V-twin cylinder gasoline machine that can be produces maximum output of 45 PS power at 14,500 rpm while delivers peak torque of 2.5 kg-m at 10,500 rpm with its 250cc displacement. Some of the other features which is the same Honda's PGM-FI technology with 296 mm single Hydraulic disc at the front and 220 mm disc along with momo shock hydraulic suspension at the rear. The new bike comes with alloy wheelers and electric start option. It is also comes with 5 speed manual gears with Multi wet plate clutch. The new Honda CBR 250R has got a good capabilities to offer better fuel efficiency of around 40 kmpl. The fuel tank capacity of this bike is around 18litres and 3.5litres in reserve. The based model of Honda CBR series offering extremely well performance across the various auto markets and getting wonderful response. The new version of CBR series will help to increase popularity in the country. The new bike also features digital speedometer which is matched with the massive motorcycle, VFR 1200F. The exact detail of the colors of the new Honda CBR 250R is not available. It is expected that the the company will launch the new CBR 250R with some new eye-catching and attractive shades and colours.